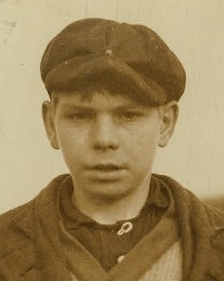 Eddie Grimshaw was photographed as a child laborer by Lewis Hine in about November 1911. Eddie apparently worked in Mill No. 8 of the Ludlow Manufacturing Associates complex of mills along the Chicopee River in Ludlow, Massachusetts. He worked as a “doffer”, which means he replaced full bobbins with empty ones on a cylinder that strips off (doffs) the cotton or fiber from the cards on a carding machine. Eddie was born in 1898 and was apparently the grandson of Zephaniah and Adeline (Covey) Grimshaw and the son of Henry and Lucy (LaBarge) Grimshaw. 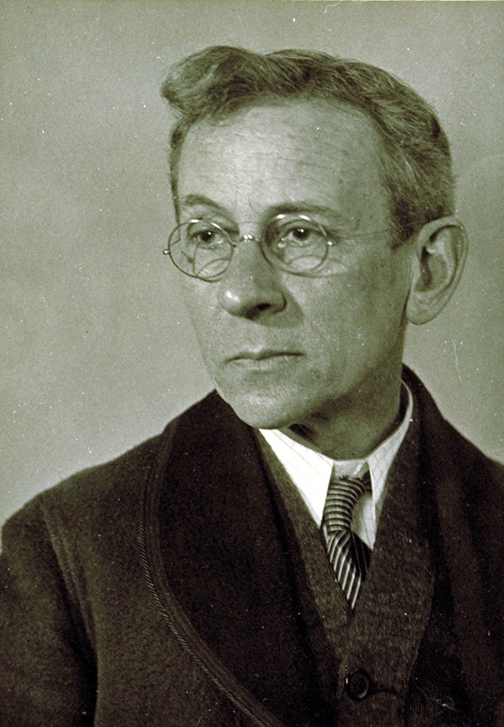 According to a Wikipedia article on him, Lewis Hine was an American sociologist and photographer who used his camera as a tool for social reform. He was commissioned by the National Child Labor Committee (NCLC) to take photos at numerous mills and other industrial facilities for several years. His photographs were instrumental in changing the child labor laws in the United States. A Wikipedia article on the NCLC indicates that it is a private, non-profit U.S. organization that serves as a major proponent for reform of child labor law. It has as its mission to promote “the rights, awareness, dignity, well-being and education of children and youth as they relate to work and working. It is administered by a board of directors, and its headquarters are in Manhattan, NY. A 1912 history of Ludlow, MA, indicates that the Ludlow Manufacturing Associates, where Eddie Grimshaw was photographed by Hine, had its roots going back to 1848. Mill No. 8 was dedicated in 1901, just 10 years before Eddie’s photo was taken. The mill is now a major Ludlow landmark and appears on the town seal. What Is the Mission of the Child Labor Committee? Thanks go to Kathy DeWalt for providing vital information on Eddie Grimshaw’s family origins. Three photos of Eddie Grimshaw taken by Lewis Hine are available at the Library of Congress in Washington, DC and are posted on the library’s website1. The photos are shown below with their captions from the collection. In April 2014, Kathy DeWalt sent an email that appears to show that Eddie Grimshaw was descended from the Zephaniah and Adeline (Covey) Grimshaw. They were his grandparents, and his parents were Henry and Lucy (LaBarge) Grimshaw. The key elements of Kathy’s email are shown below (slightly edited). 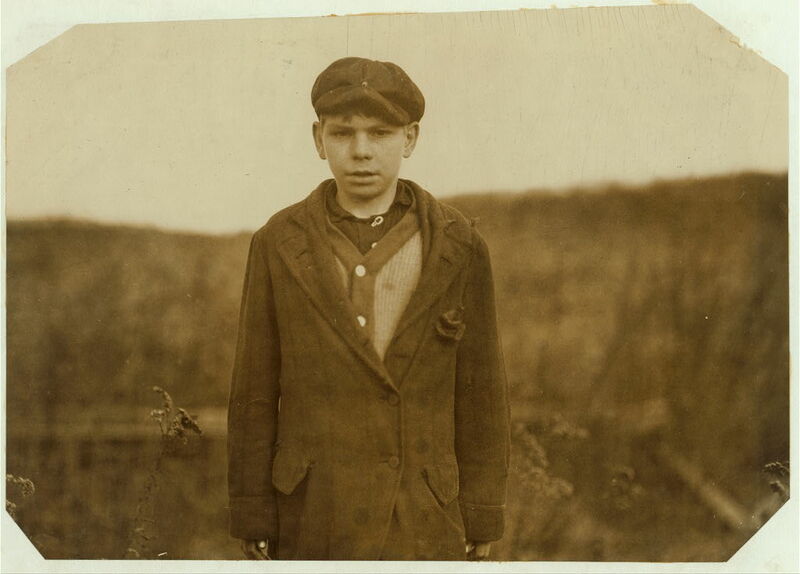 I’m am pretty sure the child labor photo of Eddie Grimshaw is his (Henry Grimshaw’s) son. Henry married Lucy LaBarge and moved to Springfield, MA. Several of his children are listed on the previous census as working at the Jute mill which would have been Ludlow. They are in Wilbraham and Indian Orchard on the census to either side of the photos. The Ludlow Mill is on the Chicopee River. The other side of the river would have been Stony HIll Rd Indian Orchard not Chicopee but an easy mistake to make. Adeline Covey was apparently the fifth wife of Zephaniah Grimshaw, as shown on Zephaniah’s webpage (see companion webpage). According to the Craig Dangbar Flanagan Campbell family tree on Ancestry.com, Henry Grimshaw was their third son, born in 1866. He and Lucy LaBarge were married in 1892 and had seven children. Lewis Hine used his camera to achieve social reform, especially related to child labor, in the late 1800s and 1900s. His images of children in the workplace played a key role in achieving reform of child labor laws in the U.S. The Wikipedia article on Hine is shown below. Lewis Wickes Hine (September 26, 1874  November 3, 1940) was an American sociologist and photographer. Hine used his camera as a tool for social reform. His photographs were instrumental in changing the child labor laws in the United States. Lewis Wickes Hine was born in Oshkosh, Wisconsin in 1874. After his father died in an accident, he began working and saved his money for a college education. Hine studied sociology at the University of Chicago, Columbia University and New York University. He became a teacher in New York City at the Ethical Culture School, where he encouraged his students to use photography as an educational medium. The classes traveled to Ellis Island in New York Harbor, photographing the thousands of immigrants who arrived each day. Between 1904 and 1909, Hine took over 200 plates (photographs), and eventually came to the realization that documentary photography could be employed as a tool for social change and reform. During the Great Depression, he again worked for the Red Cross, photographing drought relief in the American South, and for the Tennessee Valley Authority (TVA), documenting life in the mountains of eastern Tennessee. He also served as chief photographer for the Works Progress Administration’s (WPA) National Research Project, which studied changes in industry and their effect on employment. Hine was also a member of the faculty of the Ethical Culture Fieldston School. What Is the Mission of the National Child Labor Committee? A vintage NCPC poster is shown below, followed by a portion of the Wikipedia article on the NCLC. NCLC, headquartered on Broadway in Manhattan, New York, is administered by a board of directors that is currently chaired by Betsy Brand. Edgar Gardner Murphy, an American clergyman and author, is credited with proposing the National Child Labor Committee following a conference between Murphy’s Alabama Child Labor Committee, and the New York Child Labor Committee. The conference culminated on April 25, 1904 at a mass meeting held in Carnegie Hall, New York City. At the meeting, both men and women concerned with the plight of working children overwhelmingly supported the formation of the National Child Labor Committee. The new organization moved swiftly in procuring the support of prominent Americans. In November, 1904, barely half a year after its conception, the NCLC boasted the membership of leading politicians, philanthropists, clergymen, and intellectuals including: former president Grover Cleveland, Senator Benjamin Tillman of South Carolina, and the president of Harvard University, Charles W. Eliot. According to the 1900 US Census, a total of 1,752,187 (about 1 in every 6) children between the ages of five and ten were engaged in gainful occupations in the United States. This number represents a fifty percent increase from the 1,118,356 children working for wages in 1880. This trend alarmed Americans who, while supporting the traditional role of children in agriculture, found the idea of American youth laboring for meager wages in industrial factories appalling. From 1909 to 1921 the NCLC capitalized on this moral outrage by making it the focal point of the NCLC campaign against child labor. 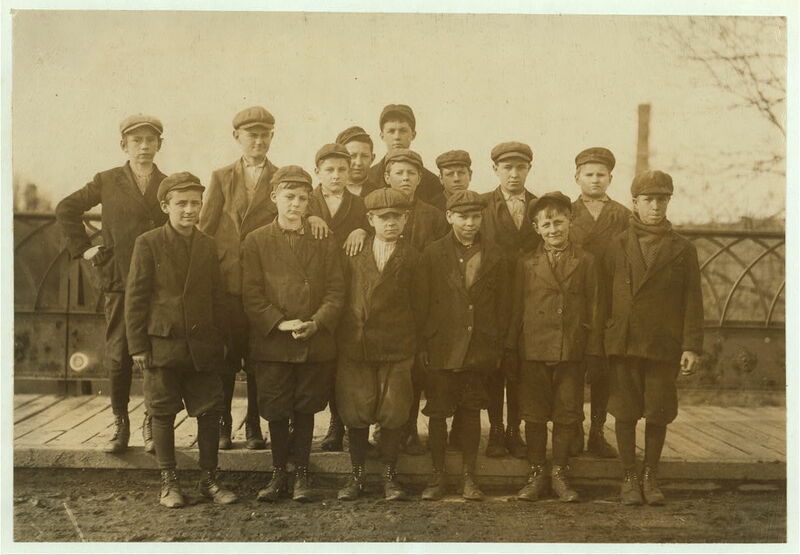 Hine’s subjects included both boys and girls employed by mills and factories all over the United States. For the average American, Hine provided an otherwise unavailable window into the somber working conditions facing America‘s youth. When asked about his work on the subject Hine simply stated that he wanted to show things that had to be corrected. Hine’s work resulted in a wave of popular support for federal child labor regulations put forward by the NCLC. In effect, Hine’s photographs became the face of the National Child Labor Committee, and are among the earliest examples of documentary photography. Although the NCLC made some strides in the north, by 1907, McKelway and the NCLC had achieved little success in enlisting the support of the southern people and had failed to pass any far-reaching reforms in the south’s important mill states. Consequently, the NCLC decided to refocus its state-by-state attack on child labor and endorsed the first national anti-child labor bill, introduced to congress by Senator Albert J. Beveridge of Indiana in 1907. Although the bill was later defeated, it convinced many opponents of child labor that a solution lay in the cooperation and solidarity between the states. In response, the NCLC called for the establishment of a federal children’s bureau that would investigate and report on the circumstances of all American children. In 1912 the NCLC succeeded in passing an act establishing a United States Children’s Bureau in the Department of Labor and Department of Commerce. On April 9th President William Taft signed the act into law, and over the next thirty years the Children’s Bureau would work closely with the NCLC to promote child labor reforms on both the state and national level. By 1916 it had become clear that the Children’s Bureau and State legislation lacked the strength to overcome the resistance and political power of those who employed children in their mines and factories. In response to the massive disparity among child labor laws of the different states Senator Robert L. Owen of Oklahoma and Representative Edward Keating of Colorado introduced the NCLC backed Keating-Owen Act which prohibited shipment in interstate commerce of goods manufactured or processed by child labor. The bill passed by a margin of 337 to 46 in the House and 50 to 12 in the Senate and was signed into law by President Woodrow Wilson as the centerpiece of The New Freedom Program. However, in 1918 the law was deemed unconstitutional by the United States Supreme Court in a five-to-four decision in Hammer v. Dagenhart. The court, although acknowledging child labor as a social evil, felt that the Keating-Owen Act overstepped congress’ power to regulate trade. The bill was immediately revised and again deemed unconstitutional by the Supreme Court. The NCLC then switched its strategy to passing of a federal constitutional amendment. In 1924 Congress passed the Child Labor Amendment with a vote of 297 to 69 (with 64 abstaining) in the house and 61 to 23 (12 abstaining) in the senate. However, by 1932 only six states had voted for ratification, while twenty-four had rejected the measure. Today, the amendment is technically still-pending and has been ratified by a total of twenty-eight states, requiring the ratification of ten more for its incorporation into the Constitution. For the entirety of World War II, the NCLC kept vigil to make sure that employment shortages caused by the war did not weaken the newly passed and implemented child labor laws, and that children were not drawn back into the mines, mills and streets. In 1979 NCLC collaborated with the Opportunities Industrialization Centers of America to found the National Youth Employment Coalition(NYEC). The NYEC was formed in order to provide support to organizations that help youth become productive private citizens. The NCLC provided the original housing for the NYEC and shared an Executive Director from 1983-1987. In 1985 the NCLC introduced the Lewis Hine Awards for Service to Children and Youth, which honor unheralded Americans for their work with young people, and give special awards to better-known leaders for their extraordinary efforts. Over the past two decades the awards have developed into an annual event of national notoriety with awards given out to a diverse range of professionals and volunteers. Some past recipients include Gene Bowen of Warwick, New York in 2008 who co-founded Road Recovery, a clinically acclaimed skills program designed for teens recovering from drug addiction and Stacy Maciuk of Brentwood, Tennessee in 2007 who organized a suitcase collection drive to provide foster children with a place to pack their clothes and possessions other than a garbage bag. From 1991 to today, the National Child Labor Committee created and expanded the Kids and the Power of Work(KAPOW) program. KAPOW exists as a network of private business and elementary school partnerships which introduces students to the world of work though lessons taught by private sector volunteers. Today, KAPOW servers as a model for similar programs, runs operations in over thirty communities from Florida to California, and serves over 50,000 students. “About NCLC”. National Child Labor Committee. Retrieved 2008-11-25. “Contact NCLC”. National Child Labor Committee. Retrieved 2008-11-25. “Board of Directors”. National Child Labor Committee. Retrieved 2008-11-25. “National Child Labor Committee”. Encyclopedia of children and Childhood in History and Society. Retrieved 2008-11-25. “History of NCLC”. National Child Labor Committee. Retrieved 2008-11-25. “National Effort to Solve Child Labor Problem”. New York Times. Retrieved 2008-11-25. 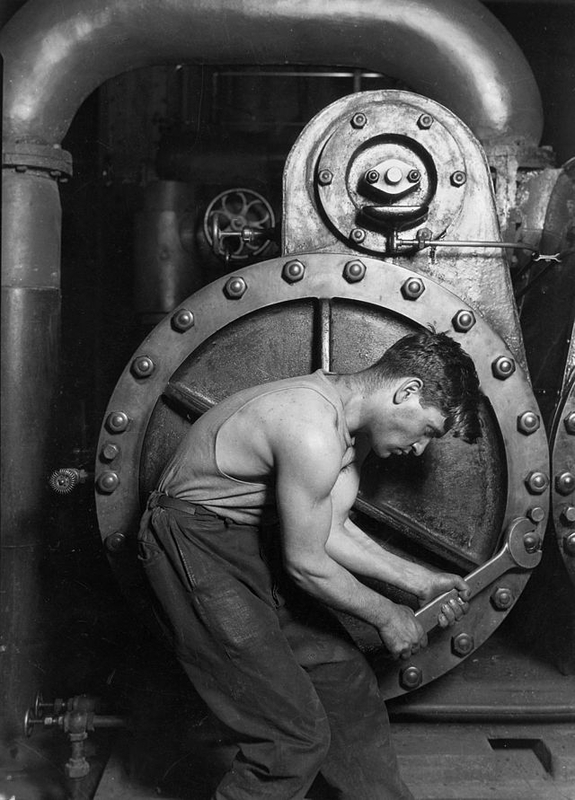 “Lewis Wickes Hine”. The Getty. Retrieved 2008-11-25. “Alexander J. McKelway: Preacher to Progressive”. The Journal of Southern History. Retrieved 2008-11-25. “Child Labor”. encyclopedia.com. Retrieved 2008-11-25. “Act of Congress: Keating-Owen Act of 1916”. answers.com. Retrieved 2008-11-25. 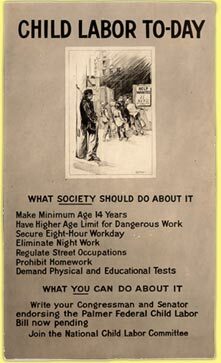 “The Fair Labor Standards Act of 1938, as Amended”. US Department of Labor. Retrieved 2008-11-25. “Welcome to The Lazzaro Law Firm, LLC”. The Lazzaro Law Firm. Retrieved 2008-11-25. “NYEC History”. National Youth Employment Coalition. Retrieved 2008-11-25. “Lewis Hine Awards”. National Child Labor Committee. Retrieved 2008-11-25. “Who are we?”. Road Recovery. Retrieved 2008-11-25. “Volunteer Stacy Schumaker Maciuk”. National Child Labor Committee. Retrieved 2008-11-25. “Kids and the Power of Work KAPOW”. National Child Labor Committee. Retrieved 2008-11-25. The Ludlow Industrial Associates played a strong role in the community of Ludlow for many years. An account of the company from “The History of Ludlow, Massachusetts”2, including the construction of Mill No. 8 (highlighted in bold-face type), is shown below. The beginning of the business now carried on by the Ludlow Manufacturing Associates dates back to 1848. In that year Charles T. Hubbard, then a junior partner in the old firm of Sewall, Day & Co., started the “Boston Flax Mills” at East Braintree, Mass., where there was a small water power. In 1852 the business was incorporated, the original subscription being $50,000. Of this Mr. Hubbard took $7,500, his father-in-law, Benjamin Sewall, took $11,000. These are the only original subscribers whose interest in the business has been continued to the present time. From 1848 till his death in 1887, Mr. Hubbard was the treasurer and managing head of the business. In 1864 Cranmore N. Wallace, returning from service in the army, entered the mill as office clerk. He is now (1911) president and selling agent. In 1868, Mr. Hubbard, acting for various creditors of the Ludlow Mills Company, bought their property in Ludlow, Springfield, and Wilbraham. The business was reorganized under the name of the Ludlow Manufacturing Company and Mr. Hubbard was chosen treasurer; Mr. Lemuel H. Brigham was retained as agent. The property consisted of the old stone mills referred to elsewhere; also a small one and one-half story wooden cotton mill and a small machine shop. The cotton mill was run on seamless cotton bags until its destruction by fire, a few years later. The old stone mills were used for the manufacture of twines, and of bagging for covering cotton. At this time the approach to the village was through an old-fashioned wooden bridge. The village consisted of very few old tenement houses, one church, and one single-room schoolhouse owned by the Company, situated on two country roads. The nearest railroad was the Boston and Albany, one mile distant. Later the Springfield and Athol Railroad was run through the village and a spur track laid into the mill yard. In the meantime the Boston Flax Mills at Braintree had been growing by small additions here and there, until in 1878 there was such a conglomeration of small, detached mills with antique power equipment, that it was evident that the mills must be rebuilt entirely or moved to a new location. Mr. Hubbard then arranged to sell the good will and machinery of the Flax Mills to the Ludlow Manufacturing Company. To receive this machinery the latter company built a new mill (No. 4), and also the present lower canal (since enlarged). About this time (1878) new streets were constructed, a number of new cottages and a six-room schoolhouse built. In 1881, Mr. John E. Stevens was engaged as superintendent. In 1887, Mr. Hubbard died and was succeeded by his son, Charles W.
Hubbard, the present treasurer, a graduate of Harvard College, class of 1878. Since 1887 the managing officers of the Company have been: Charles W. Hubbard, treasurer; Cranmore N. Wallace, selling agent; John E. Stevens, manufacturing agent (died 1905); and Sidney Stevens, who succeeded his father in 1905. Of the mills now standing, there existed in the spring of 1888 only Xo. 4; the old stone mills being condemned as unsafe, were temporarily strengthened; No. 5 mill was built to receive the machinery which was taken out of the old mills; and a canal was built on the upper dam, also a wheelhouse containing wheels of about 250 horse power to run this mill. The completion of this building was celebrated by a ball and supper given to the operatives and residents of the town. The new gunny mill having been completed and running, in the spring of 1889 the directors voted to build a mill known as No. 6. Upon its completion this mill was used for the exercises dedicating the Hubbard Memorial Library. In the same year the Company secured an amendment of its charter (Chapter 200) authorizing it to establish an “effective and complete electrical plant,” and to sell power to the inhabitants of Ludlow within a mile of the Chicopee River. In January, 1891, rinding it was necessary to make an immediate increase in the production of one of the departments, the management erected a temporary frame spinning mill, and the construction of No. 2 mill was authorized, together with the installation of 1,000 horse power water wheels. On December 15, 1891, an addition to the marline mill was voted. 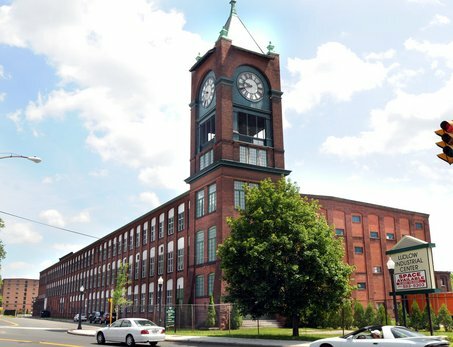 After planning all the additions mentioned to mills and machinery, the managers found there was a shortage of power, and in view of future requirements, purchased in December, 1891, a mill site just above Red Bridge on the Chicopee River. At a directors’ meeting held on February 14, 1893, attention was called to the need of auxiliary steam power. In the treasurer’s report, September, 1894, mention was made of a loss of sales from want of the power to run the machinery. In 1894, the corporation acquired rights in Chapin pond, under Chap. 200, Acts of 1889. September 20, 1894, the building of No. 1 mill and No. 3 mill was authorized, also a steam plant at No. 3 mill, and the construction of a machine shop. In accordance with this authorization there was installed at No. 3 mill a tandem Corliss engine of 1,500 horse power, also an electrical drive to the upper dam of 400 horse power. In 1897 the Company urged upon the City of Springfield and the town of Ludlow the necessity of replacing the old covered wooden bridge across the river with a high level iron bridge; and by offering to pay half the cost of the approaches it succeeded in bringing about this improvement in the approach to the village. The volume of their freight was growing at such a rate that direct connection with the railroad seemed to be an immediate necessity. In 1897 the Company bought the Moran farm lying between the Chicopee River and the main line of the Boston and Albany Railroad, and surveyed for a branch line from their mill yard to connect with the main line, including a bridge across the river. This bridge was completed in 1905, and two or three miles of extra tracks and sidings were added to the Company’s freight yard. In the spring of 1898 the machine shop was doubled in size, and it was decided to build a plant not only sufficient to meet their immediate needs, but one that would last for several years to come. They bought more land on the river above Red Bridge, and in 1900 commenced work on the present dam at that point. At the same time No. 8 mill was started, and as it was expected that two years would be required before water power could be developed at Red Bridge, a steam plant of 1,000 horse power with electrical transmission was installed at the upper dam. This power house was built twice as large as needed for this installation, as it was even then thought by the directors that the growth of the Company’s property would be so rapid as soon to absorb all the power at Red Bridge and the auxiliary steam power already installed at Ludlow. To provide for all this increased development of manufacture, six warehouses built in 1891 were torn down and State Street laid out and built, also a new mill office. Upon the completion of No. 8 mill it was dedicated February 16, 1901, with a ball and supper given to the operatives and residents of the town, and a large number of invited guests from Boston and Springfield. The First Regiment Band of Springfield, consisting of thirty pieces, provided the music and about thirty-five hundred people were entertained. In the same year (1901) a large block was built to provide stores and dwellings for the growing village. In developing not only the manufacturing plant, but also the village itself, in laying out and building the village park and various streets, in constructing sewers, in providing club rooms, etc., the officials found they were acting beyond the powers granted to them under the general laws. This was one of the reasons for changing the form of organization to that of the trust agreement, which went into effect January 1, 1902. This nevv form of organization places the control of the business in the hands of nine trustees, acting under a written agreement denning their powers. In 1905, No. 8 mill having been outgrown, No. 9 mill was built; in 19O6, No. 8 annex; and in 1907, No. 10 mill. In 1906 the Stevens Memorial was builta clubhouse for the use of the operatives, the building of which had been under consideration for several years. Later a large athletic and play field was laid out and fenced. It provides a quarter-mile cinder track, fields for baseball and football, a wading pool, a large platform and shelter for kindergarten plays, besides various swings, teeters, and slides. For about twenty years previous to the building of the Stevens Memorial the Company had provided temporary quarters for the men’s and women’s clubs. The flow of water in the river during the fall of 1909 was unusually small, and even with steam power it was impossible to run all the machinery. The trustees, therefore, decided to enlarge the steam plant, and in the summer of 1910 installed at the upper power house three Babcock and Wilcox boilers and a General Electric turbine and generators, with a capacity of 2,500 horse power. The upper and lower steam plants were also connected by a 4-inch pipe, thus allowing one boiler plant, under usual conditions, to supply all the steam needed. Such has been the growth of the manufacturing plant at Ludlow. A vintage photo of Mill No. 8, taken two years after Eddie Grimshaw was photographed by Hine, is shown below. A modern photo of Mill No. 8 shows it’s clock tower, which has become a landmark in Ludlow. It appears on the town seal (shown below). 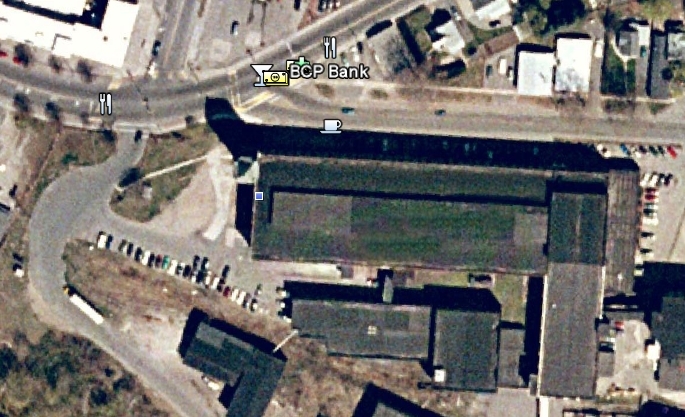 A GoogleEarth image of a portion of the town of Ludlow is shown below. 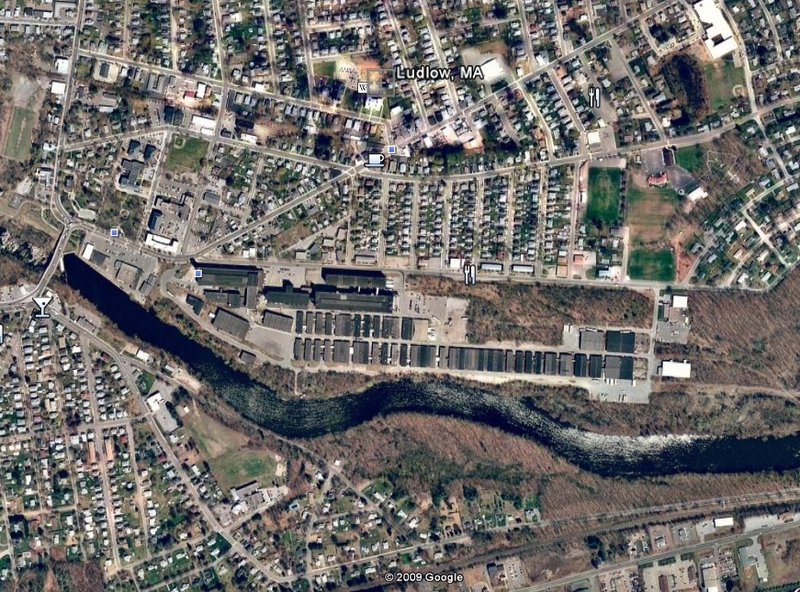 The Ludlow Industrial Associates mill site is on the south side of Ludlow and on the north bank of the Chicopee River. Mill No. 8 with the clock tower is on the west end, where a blue square dot can be seen. Closeup view of the west end of the mill site. The clock tower on Mill No. 8 is next to the blue square dot. The shadow of the tower is cast to the northwest. 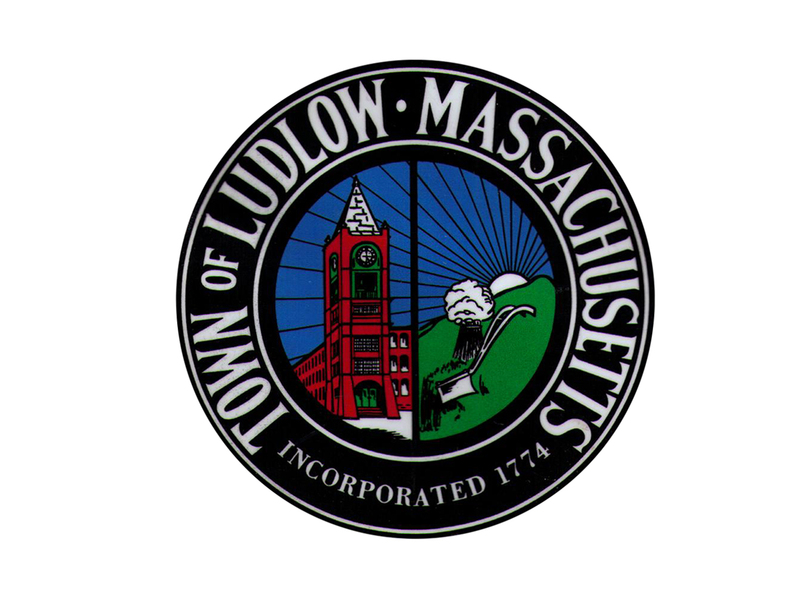 An image of the Ludlow town seal is shown below followed by a description of the town from Wikipedia. Ludlow town seal. Note the clock tower on Mill No. 8. Ludlow is a town in Hampden County, Massachusetts, United States. The population was 21,209 at the 2000 census. It is located in western Massachusetts, north of Springfield, southwest of Belchertown, and is considered part of the Springfield Metropolitan Statistical Area. 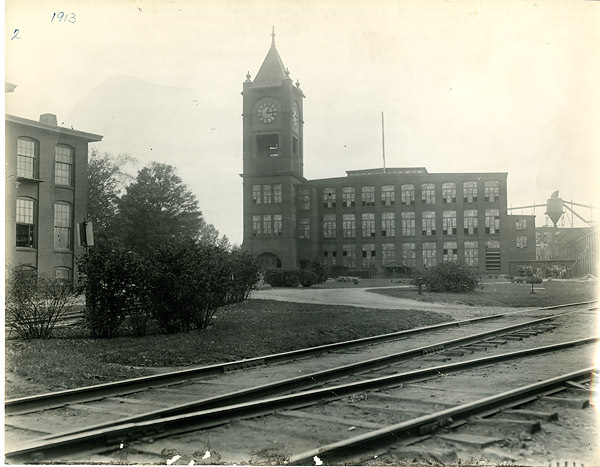 Ludlow Company (whose clock tower is depicted on the town seal), formed in 1868, helped shape the town by providing housing, a library, schools, playgrounds, and even a clubhouse for the increasingly diverse community. Ludlow was home to many sawmills and gristmills, utilizing the power from several sources of water nearby, including the Chicopee River, Broad Brook, Higher Brook, and Stony Brook. The town is most noted, however, for its factory mills and production of jute yarns, twine, and webbing. Less well known was the glass-making business that was prevalent in the early 1800s. John Sikes manufactured glass bottles and other glassware and the Ludlow. The late John F. Thompson, represented Ludlow in the Mass. General court, where he served as Speaker of the House of Representatives, known as the “Iron Duke”, he wielded much influence in state and local politics, during the late 50’s and early 60’s. Ludlow High graduate Maura West of “As The World Turns” won the award for Outstanding Lead Actress in a Drama Series at the 34th Annual Daytime Emmy Awards in Los Angeles in 2007. Dean Lombardi, a 1976 graduate of Ludlow High and star hockey player for the high school and Springfield Olympics, is the current president and general manager of the Los Angeles Kings of the National Hockey League. Tom Matera, a 1994 graduate of Ludlow High School, went on to become World Wrestling Entertainment Superstar Antonio. As of the census of 2000, there were 21,209 people residing in the city. The population density was 752.1 people per square mile (290.1/km²). The racial makeup of the city was 95.78% White, 2.19% African American, 0.27% Native American, 0.68% Asian, 0.03% Pacific Islander, and 1.09% from other races. Hispanic or Latino of any race were 6.47% of the population. Ludlow is home to a very large Portuguese-American population. The Portuguese church Our Lady of Fatima puts on an annual carnival, which is one of the most significant cultural events for Portuguese-Americans in the country. Ludlow is also home to many Polish and French Canadians. Soccer is an extremely popular sport in Ludlow. The city’s high school soccer team is the most dominant in Western Mass and has recently been ranked 17th nationally by the NSCAA and has won many state championships as well, including the most recent one in 2008. The city is also home to the amateur Gremio Lusitano, and the Western Mass Pioneers and Western Mass Lady Pioneers professional soccer teams. The Pioneers play in the USL Second Division while the Lady Pioneers compete in the USL W-League. Both teams play their home games at Lusitano Stadium in Ludlow. In 1996, the National Soccer Hall of Fame added Ludlow to its soccer history display. 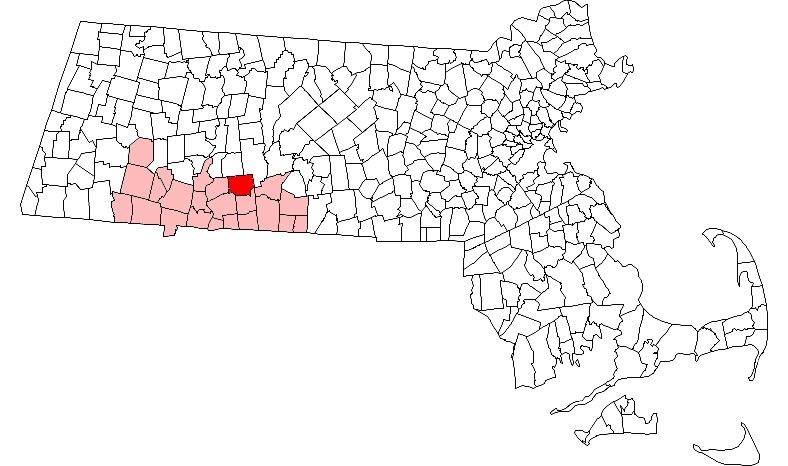 The map below from Wikipedia shows Hampden County, where Ludlow is located, in western Massachusetts. SUMMARY: Photographs primarily document cotton mill activities, but also include images showing other kinds of manufacturing, such as furniture factories and silk mills. Includes portraits of workers, work activities, and documentation of housing conditions, family situations, schooling, children’s recreational activities, work-related injuries, and factory health facilities. A few images document what were considered examples of good management practices in, for instance, a Mobile, Alabama, cotton mill. Includes factory sites in Alabama; Connecticut; Delaware; Georgia; Indiana; Louisiana; Maine; Massachusetts; Mississippi; New Hampshire; New York; North Carolina; Ohio; Rhode Island; South Carolina; Tennessee; Texas; Vermont; and Virginia. Also included are photographs of a few signs (advertising work, warning against waste), children’s work certificates, clippings, and cartoons, as well as exhibit panels in which the images are used to protest child labor practices. Note: One image relating to a Pennsylvania coal mine (#3504) was mistakenly included in this LOT. Webpage posted November 2009. Updated June 2014 with addition of family origins information and with corrections to the information on Lewis Hine.